Wow! That is pretty impressive. Thanks for another great test HKJ. Been waiting to see this one. Thanks, HKJ! Interesting this advance in technology. Thanks very much for the excellent review! Frontpage’d and Sticky’d. 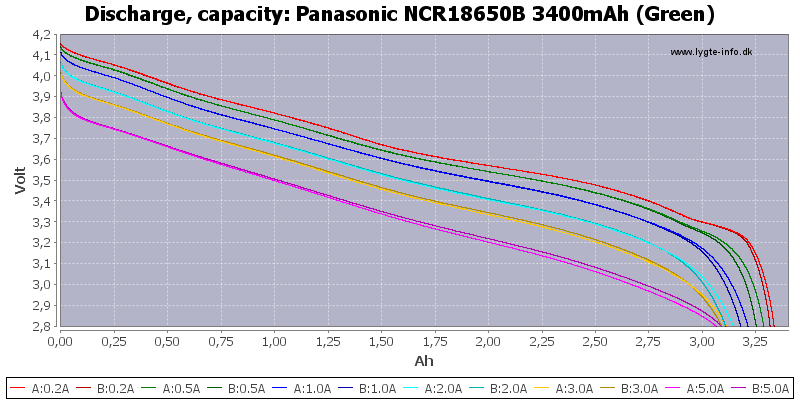 So….. Full charge 4.35V or 4.2V ? 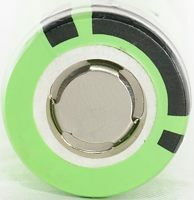 ---Cut off at 2.75V, full charge 4.35V Full charge @ 4.2V Keeppower 18650 3400mAh http://budgetlightforum.com/node/11774 CNQ @ 4.35V http://www.cnqualitygoods.com/goods.php?id=1624 So..... Full charge *4.35V* or *4.2V* ? It is 4.2 volt for a full charge. —-Cut off at 2.75V, full charge 4.35V Full charge 4.2V Keeppower 18650 3400mAh http://budgetlightforum.com/node/11774 CNQ 4.35V http://www.cnqualitygoods.com/goods.php?id=1624 So….. Full charge 4.35V or 4.2V ? That is a copy from the website, in the table I have the correct value. I have edited the "Official specifications" to better show it. Great as always HKJ, I will have to wait till my 2900’s and 3100’s begin to be tired, as I have more batteries than time haha. length is spec'ed as 70.5mm but i can hardly believe that. Such cells wouldnt fit in a grand variety of common popular 1x18650 flashlights or multi-18650 flashlights. Anyway, they exist, and price is good too shipped. Let's recall that Protected Efest 3400 cost ~25 bucks shipped, button top version. 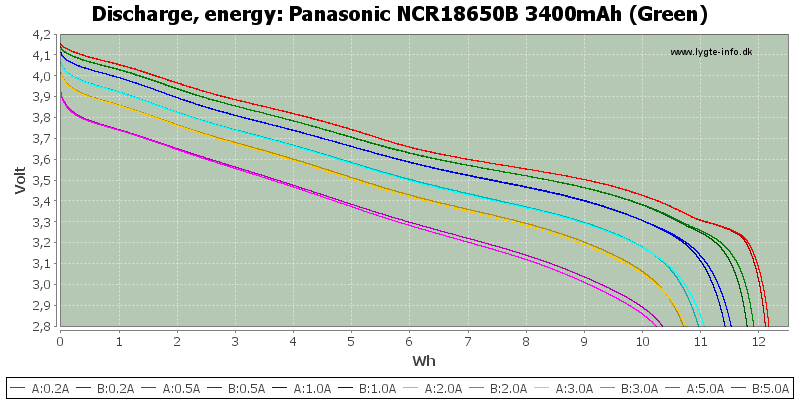 I have a batch of these cells from Ric and these are fantastic in performance and quality. I just got 2 of these from FastTech and they fit in the Sipik sk98 clone (a touch long but you can screw it shut) and they fit nicely in the Aleto 26650 version with the 18650 insert. I got 2 pairs from FT that look exactly like those, and they measure right at 70mm with my cheapie caliper, so I’d say the spec is pretty close. length is spec’ed as 70.5mm but i can hardly believe that. Such cells wouldnt fit in a grand variety of common popular 1×18650 flashlights or multi-18650 flashlights. 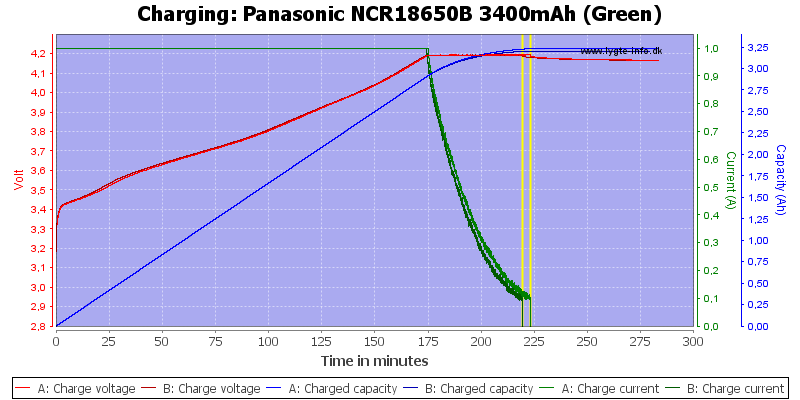 i guess its not a good thing to use this battery on a charger that only charges up to 4.2 v ? like the nitecore i4 ? You have to use it on a 4.2 volt charger or risk problems. The battery is full charged with 4,2V. 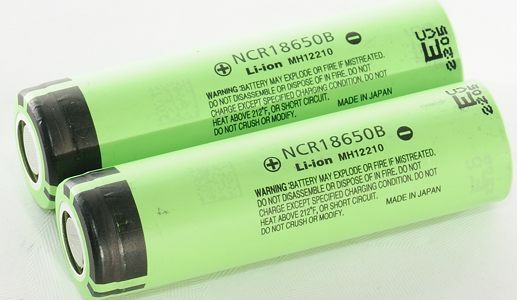 If you have other batteries like the Samsung ICR 18650 30A which is full charged with 4,35V - a 4,2V charger is not a problem and will not harm the battery. Of course it's not charged 100% full, but you can read in many thread, that a not 100% full charged battery will have a longer lifetime. sorry i thought fully charged is somewhere between 4.2 and 4.35 hence the correction above. 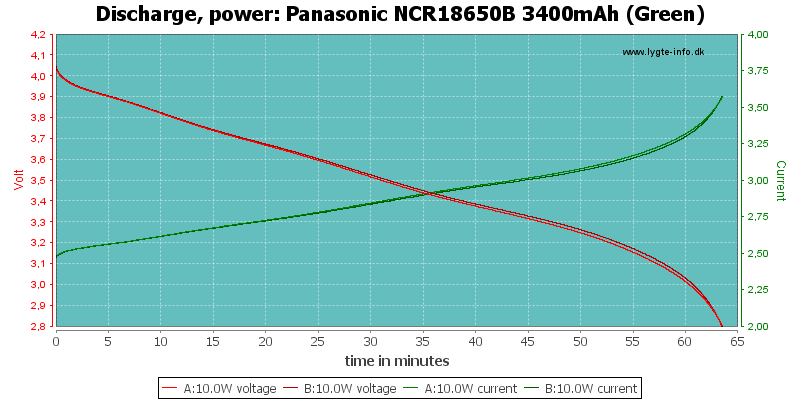 I would like to ask the difference Panasonic Protected and Unprotected batteries. In protected batteries it had some kind protection for overcharge, over-discharge, etc..
I’m gonna used it for some kind ultrafire XML-T6 flashlight is it OK ? After an hour using full brightness it’s very hot. In a good, reputable charger, the unprotected Panasonic NCR18650B cells shown in the 1st post will also stop at or around 4.2v’s. The protection circuit just cuts out when the voltage gets to low in the cell from usage, not necessarily from charging, or overcharging. I have several of these cells, and they are excellent! Better than most other cells. When using them, you just have to be very disciplined and be on the lookout for the 1st significant dip in output on the drop in, and then stop and recharge immediately. Most good, reputable drop ins have a protection circuit built in that will stop the output of the light when voltage is too low. I don’t think mine is reputable charger. It only said Video/Camera Digital Travel Charger. How long usually it takes to full charged it ? I’m already charged for 7 hours and still charging.. Is it Normal ? How long usually it takes to full charged it ? I'm already charged for 7 hours and still charging.. Is it Normal ? Thanks. With a fast charger about 4 hours from empty, slower chargers can easily be twice that time, but that does not make them bad chargers. Sellers will charge whatever they think people will pay. Price never represents which is better, of any product. Alot probably has to do with ignorance. 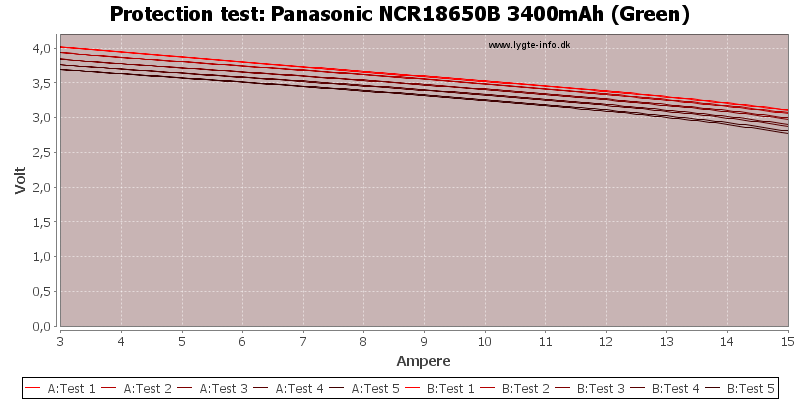 When people think ‘NCR18650B’, they think ‘best 18650 around’. 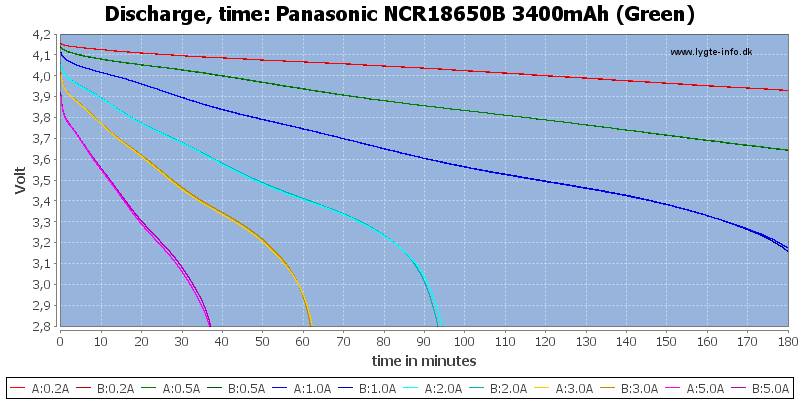 When they think ‘NCR18650BF’, they think ‘WHAT?’. People don’t know about this battery, and are unlikely to choose it over something that they have been told is the very best for the past few years. 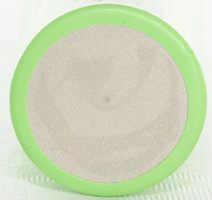 I just bought NCRBs protected for 6$/pice, where can I get NCRBFs cheaper (with free international registered shipping included)? 6$ per piece would be a bargain for those cells! Ordered 4 of the protected ones!